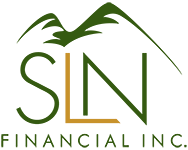 Scott Nelson | SLN Financial, Inc.
Scott has been working with seniors helping them get their affairs in order since 1997. As a financial advisor, Scott takes a practical and personal approach with his clients, assisting them with their financial goals by focusing on the fundamentals. He thoroughly educates his clients about the advantages and disadvantages of every financial decision they make and then helps them create and execute a successful financial plan. 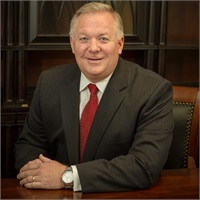 Scott began his financial services career working with funeral homes in their pre-planning departments. Scott’s funeral planning experience has exposed him to the negative results many have experienced due to a lack of good advice and proper planning. Scott decided to do all he could to help. He has since expanded his practice beyond final expenses. He is now an Investment Advisor Representative, Medicare Supplements, Insurance licensed, and trained in professional financial strategies. Scott grew up on a family dairy near Corinne, Utah. He graduated from Box Elder High in 1978 and from Utah State in 1984 with a degree in Economics. He worked as a Loan Analyst for Farm Credit until 1988. He has always had an interest in financial services and has had his insurance licenses since 1987. He enjoyed working in agri-business management in Central California until 1997 when the owners of the bedding plant nursery he was running decided to sell. He then launched his financial services career. Scott returned to Brigham City in 2005 to be closer to his parents and assist with their care. Scott and his wife, Julie (Gardner) have four children and 12 grandchildren. He is active in church activities, spoiling grandchildren properly, and, when possible, attempting to lower his golf score.